La Jornada: "Fabian Sanchez, executive director of the organization Strategic Litigation for Civil Rights (Idheas), and Adrian Ramirez, president of the Mexican League for the Defense of Human Rights (Limeddh) stated that the 2012 World Report of Human Rights Watch (HRW) strengthens the call of international and national organizations that the policy to combat crime be modified. Despite repeated calls that have been made by international organizations such as Amnesty International (AI), HRW, the United Nations (UN) and the Interamerican Commission on Human Rights (IACHR), as well as national human rights defense groups, Calderón persists in his position of not changing his policy to combat organized crime. "There is no human power or national or international instrument that can make the President change his strategy." The report, Ramirez said, is important because "it indicates that the strategy has exacerbated the violence in the country, and we insist that the liability is Calderón's, because his policies foster a climate of serious human rights violations." Fabian Sanchez added: "Although the report does not state anything that is not known, it links the government's strategy to worsening violence and reinforces the demand for a change in security policy." La Jornada: The federal government, through the Interior Ministry, responded last night to the accusations made ​​by Human Rights Watch World Report - 2012, presented Sunday in Cairo. 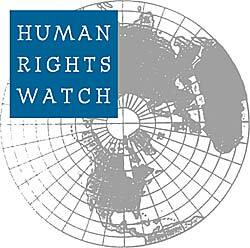 "The government rejects the accusations of HRW regarding human rights violations and impunity of federal security forces. ....the work of the personnel of the Army, Air Force and Navy of Mexico--in combating drug trafficking and organized crime--is carried out in strict accordance with the framework of public safety, attending to the particular problems that threaten the physical integrity of the population and limit the carrying-out of the daily activities of society." In its press release, the Government argues that "the actions of personnel adhers to the law, with full respect for human rights, always putting first the security and integrity of the population, strengthening the transparency and openness of the armed forces to report detailed and reliable information regarding the completion of their assigned missions." Milenio: "The organization Human Rights Watch reported that security forces in Mexico have committed human rights violations and that the soldiers enjoy impunity in these cases. This was stated during the presentation of its world report in Cairo. The communications director for HRW, Emma Daly, said President Felipe Calderon is using the military to fight drug traffickers and organized crime, but the military are not well trained to carry out policing and go unpunished when there are abuses. "We have evidence that violence has increased in Mexico horribly in recent years and that there is no system for judging the military so that there is justice," Daly said at the headquarters of the Union of Journalists of the Egyptian capital. In her opinion, "there is total impunity for the military in Mexico," who are never prosecuted within the military justice system, which encourages the continuation of "the abuse because there is no way to stop it." According to the NGO report, the efforts of the authorities to combat organized crime have led to a significant rise in killings, torture and other abuses by security forces, which only make the "climate of disorder and fear worse in some areas of the country." 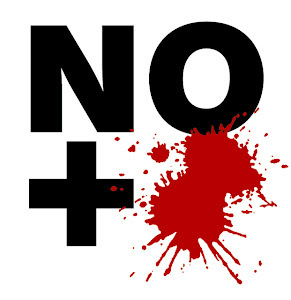 Among the violations of human rights by the Armed Forces are murder, torture and forced disappearances. A demonstration that soldiers who have committed human rights violations against civilians are never brought to justice is, according to HRW, that the military prosecutor's office opened over 3,600 investigations of cases between 2007 and June 2011 and only 15 soldiers were convicted in that period. The main victims of these attacks are journalists, human rights defenders and migrants. Regarding journalists, the report stresses that this group is "more and more often targeted for violence and intimidation" and records that between 2000 and September 2011, 74 journalists were killed, eight of them last year. In addition, HRW notes that hundreds of thousands of migrants who cross Mexico each year suffer serious abuses, including sexual and physical assault. The document also emphasizes that the Mexican judicial system "fails to do justice to these victims of violent crimes or violations of human rights." One of the major violations, according to the report, is the torture of detainees, a problem that is perpetuated because some judges accept confessions extracted under pressure. The organization also criticized the laws of the country which, in its opinion, do not adequately protect women and girls from domestic violence and sexual abuse." AP/Washington Post: "Police say eight men were killed in an attack on a funeral in a rural area of Guerrero, part of a death toll of 13 over the weekend in the southern state plagued by drug violence." CNN Mexico: "At least 24 public officials in Guerrero state are being investigated for their alleged role in the confrontation on December 12 between police and students from the rural normal school in Ayotzinapa, which caused the deaths of two students and an employee of a gas station. The investigation seeks to determine the administrative penalties "corresponding to the degree of participation" of the civil servants, said Julio Cesar Hernandez Martinez, comptroller general of Guerrero, located southwest of Mexico. "These responsibilities are related to failing to provide assistance to those threatened by danger or who have been victims of crime, and for not having acted with the necessary determination to prevent immediate and irreparable serious harm, and having used firearms unnecessarily " said Hernandez Martinez . ... The comptroller said officials being investigated tolerated and even performed acts of torture or cruel actions, and did not use the protocol for taking detainees into custody during the dislodging of the protesters on December 12." In an interview, the pastor of the village of Creel and general vicar of the diocese, Hector Fernando Martinez, who has worked in the area for 17 years tending to 39 communities, vehemently repeats himself. This past Wednesday he reminded Governor Cesar Duarte of that fact at a public event in the community of San Ignacio organized to distribute emergency food that the state government had delivered to respond to the food shortage in Tarahumara. The presence of narcotrafficking – explains Martinez – has devastating results for the community’s social structure, “because it uproots people from their land, displaces them from their houses, and--out of fear--they stop farming or altogether abandon their towns.” At the same time, in the face of unemployment and a lack of options, “it attracts young Rarámuri people and teenagers because it offers them work, encourages them to join; it provides an income.” Seduced by this life, teenagers and young people, who range between ages 16 and 20, end up rejecting their identity. The middle-aged priest, a jovial character who translated the Hebrew Bible into Rarámuri, doesn’t speak of rumors; he knows it, he’s seen it, he’s lived it. Today, many of those who pass through Creel and the surrounding towns in trucks with tinted windows, music turned all the way up, and “armed to the teeth,” attended catechism with him when they were children. He tells of this past December 12, when a group of them stopped him when he was travelling from one town to another. They asked him to bless their weapons: “I refused outright; I told them: ‘I will bless you, if you’d like, that God may care for you and so that you don’t use them, but I will not bless them.’” They insisted, “Come on, father. In the movie ‘El Infierno’ they bless guns. Plus we’re not the ones who are extorting money; we’re just in it for the work! The problem of insecurity in Creel can’t be attributed solely to the presence of armed groups. The more difficult problem is that the town finds itself in the middle of a fight: on one side is the La Línea cartel and on the other the Sinaloa cartel. Creel is, as it’s always been, the battlefield. Outsiders can only note the obvious: the furtive glances in the passenger busses that make the four and a half hour trip from the capital of Chihuahua to Creel; the stories of the burrito street vendor in a small town who – without anyone asking – admits that he once sold pirated goods on the street until the organized crime syndicates started to charge high protection fees; the truck drivers with tinted glass who slow down and ride along next to those who seem like strangers or out-of-towners. CNN.com: "Juan Andres was one of at least five so-called "blind mules" identified in a 20-page federal complaint who were used by cartels to traffic drugs. Others include a fourth-grade teacher and a sports medicine doctor. The blind mules had a few things in common: The bags were all secured the same way, each contained roughly the same amount of marijuana, and most of those caught drove a Ford." EFE/CNN Mexico: The Nobel Peace Prize winner, Jody Williams, denounced impunity regarding crimes against women in Mexico and the lack of political will to find solutions. After meeting with a group of 50 activists who fight for collective rights of women, the American criticized the "nice words" from the government and demanded "real" solutions to a problem that she said affects the entire population. "There is no time for excuses. Families who are suffering in this country want to see action and women who have been raped by the police and military want to see justice," she said. According to her, joint action by civil society that demands responses from the government is necessary to reverse this situation. "No one person can change society; it has to be a whole community that goes into action," she said. Therefore, the unity that associations of victims have been showning in reporting cases of disappearances, rapes and murders across the country she considers to be a positive sign. She also stated that one of the main obstacles to achieving justice and an end to impunity in Mexico is the high number of people involved in these crimes. Accompanied by Lisa VeneKlasen, director of Just Associates, an international feminist organization, and Imelda Marrufo, of the Women's Network in Ciudad Juarez, Williams stated that, despite the oppression and dangers, there is hope. "This problem requires a constant struggle if we want to see a society in which we can live without fear," she said. Her visit is part of an investigation being carried out by the Nobel Prize winner Rigoberta Menchú regarding murders of women in Mexico, Honduras and Guatemala. It began Saturday and ends on January 31. The activists are scheduled to go tomorrow to the state of Guerrero for a meeting with women and on Tuesday to meet with diplomats and women who hold high positions in Mexican political life and the judicial system. The objectives of the visit is to make visible the role, contribution and actions that women have taken to eradicate violence and insecurity in the country and to urge the Mexican government to ensure the protection of human rights defenders. During 2010, in Mexico about 3,100 women were killed, while in Honduras it amounted to about 1,500 between 2008 and 201, and in Guatemala over 5,000 women died in the last 10 years in a violent way. Activist Williams won the Nobel Peace Prize in 1997 for her intense struggle for the prohibition and removal of landmines."